21988LF-SS is rated 4.2 out of 5 by 128. Hi, I don't want to use the spray, what type of terminal I need to use? What is the repair kit number to fix a dripping faucet? Is it kit rp54801 or rp41700? Why does it take a few seconds for the water to stop? 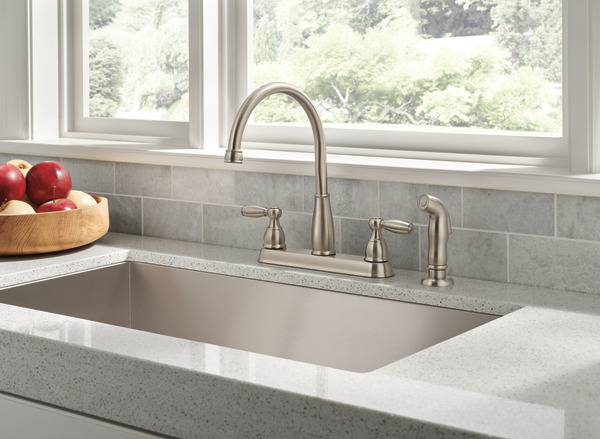 The faucet is new. How difficult is it to install a Delta kitchen faucet #21988LF-SS? 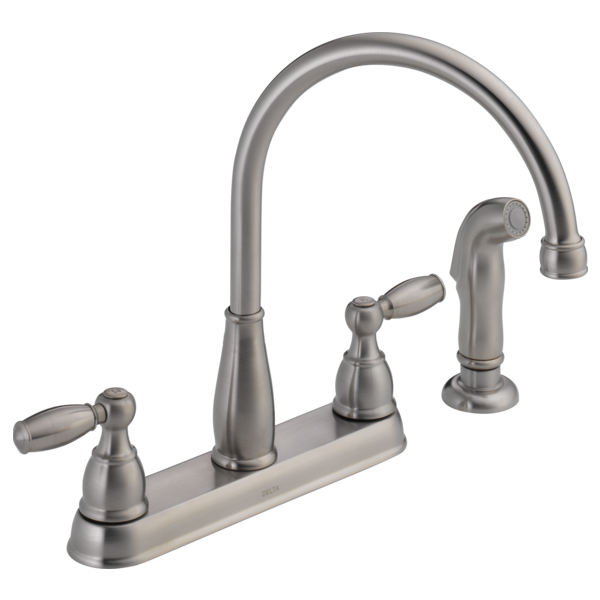 can i hook up a portable dish washer? a separate aerator attachment is required for our portable dishwasher. 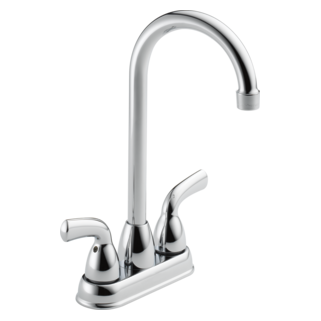 The dishwasher hose connector pulls down and then snaps onto the aerator attachment that is connected to the faucet. 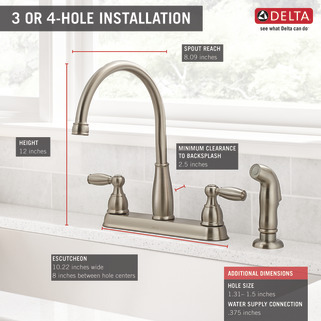 Does Delta have a solution for a Delta faucet number 21996LF-SS? Thank you for your question. 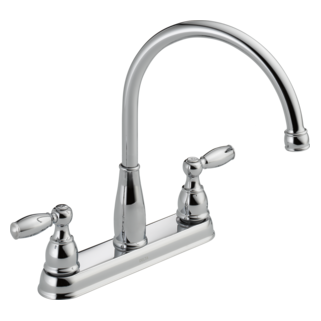 Delta Faucet model # 21988LF-SS has an aerator with a thread size of 55/64&quot;-27. You will need to talk to your local retailer or wholesaler about getting an adpater to fit your portable dishwasher to fit that thread size.